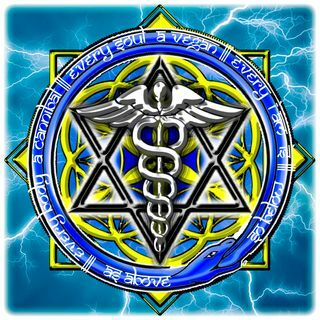 A Mystic's Mind - A Guide to Medical Miracles - Medical-Intuition is the practice and use of extra-sensory-perceptions to perceive ones energetic manifested representation (soul) which is theoretically believed to be what manifest into symptoms. There are three types of Medical-Intuition. One, uses extra-sensory-perceptions to categorize and diagnose symptoms. Two, the use of extra-sensory-perceptions to recognize subconscious beliefs and emotional habit patterns that manifest into symptoms. Third, is the use of extra-sensory-perceptions to find and prescribe the most helpful remedies, medication or habit changes. This program focuses only on the second. As a natural born Shaman, Devan Byrne’s thoughts have revolved around the attempts to express his natural gift of spiritual-comprehension. While his younger life mostly consisted of the attempts to fit-in the world, he has never been fully able to succeed in surrendering the spiritual-experiences that naturally occur in his life, sufficiently to fit-in society. When he finally realized that his gift was not meant to be squished and kept to himself, he sought on a journey of self-realization. While it consisted of a lot of spiritual mile-stones, it also consisted of a lot of pain and sacrifices. He contests to never seeing the world the same again. For most Mystics they have achieved various levels of spiritual-experiences, however for Devan, he has never completely left the spiritual-universe and has never actually stopped having spiritual experiences from day one. What he has now achieved in the world is the ability to express it and use it for the betterment of mankind’s perspective on reality. This program is the attempt to assist those who desire to learn, to train as a mystic whom naturally experience the world differently then society. Including the natural state of miracles. - Nothing in this program should be used as medical advice. Do so at your own risk. The hosts and producers are not legally responsible for your decisions regardless of the pressure of recommendations.